Join us for a special tour of Glenbrow, also known as the Gunning House, a significant Organic Modernist gem that was saved and lovingly restored by Dorri Steinhoff and Joe Kuspan. Glenbrow highlights to perfection the integral relationship between landscape and architecture. Dorri feels that spring is the best season at Glenbrow, and we look forward to the opportunity to experience it in bloom. »BUY TICKETS – $35 includes bus transportation.This is an exclusive, Columbus Landmarks members-only ticketed event, so be sure to »JOIN/RENEW today to take advantage of this tour and many more! Glenbrow embodies Frank Lloyd Wright’s Usonian principles of architecture as interpreted by Wright disciples, Tony Smith, Laurence Cuneo and Ted Van Fossen. Van Fossen went on to design Rush Creek Village. Built in 1940 with lime and sandstone that was quarried on-site, and board and batten cypress horizontal siding, Glenbrow was purchased in 2014 by Dorri and Joe after appearing on Columbus Landmarks’ Most Endangered Buildings List. The house sat vacant and was open to the elements for many years with only minimal maintenance since 2006. Built into a hillside on a wooded ravine overlooking a bedrock bottom creek, floor to ceiling windows take full advantage of dramatic views. 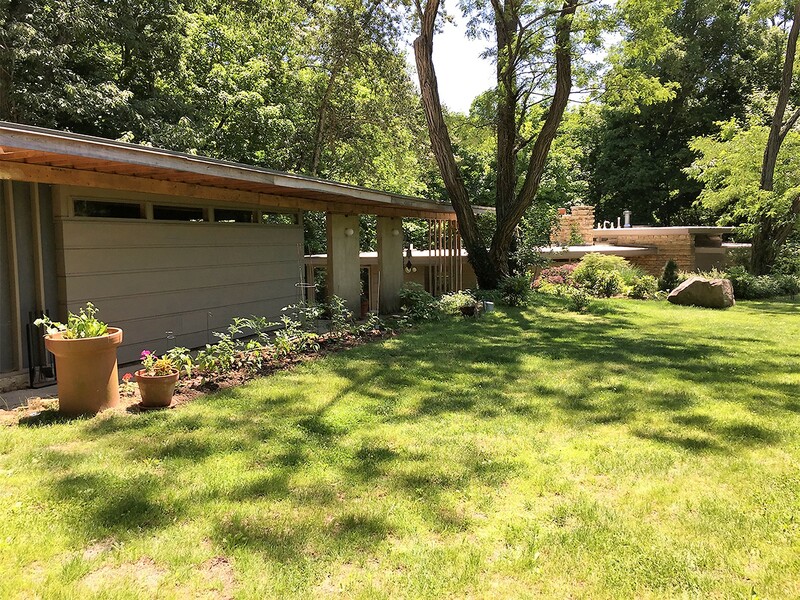 The property also features a studio and covered walkway overlooking a Zen garden, a stone water feature, pond, tennis court reclaimed by natural ground cover, and a four-story tower – added in 1964 – that is currently under renovation. Our tour will be led by Dorri, Joe, and Maren Kuspan, who have invested an incredible amount of resources, ingenuity, hard work and determination into saving this wonderful property. 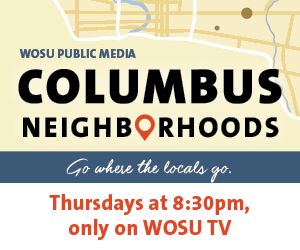 They will be joined by David Vottero, Director of Architectural Design at Schooley Caldwell and Columbus Landmarks Trustee and Education Co-Chair, who helped advocate for the property for many years and envisioned possibilities for saving it from a seriously deteriorated state. It has been a five-year transformation from ruin back to architectural gem, and you will have the opportunity to tour the completed home interior and landscape, and learn about the tower renovation underway. Meet at Columbus Landmarks, 57 West Jefferson Avenue, to board the 1 p.m. bus to Glenbrow. Group transportation is required for this event due to traffic conditions and no available on-site parking, plus Dave Vottero will fill you in on the 20 minute ride there and back! Glenbrow is not handicap accessible and is situated on uneven terrain featuring many steps. Please be aware of these considerations and wear appropriate shoes. Space is limited for this very special, members only tour, so hurry for tickets!